Catherine Cook is a researcher, policy analyst and advocate who leads the Sustainable Financing team. Since joining Harm Reduction International (HRI), Catherine has developed a portfolio of ground breaking research and policy analysis on financing for harm reduction, and has coordinated international research and capacity building on this topic. She was responsible for conceptualising and developing HRI’s flagship project, the Global State of Harm Reduction. Catherine brings 15 years of professional experience in harm reduction, HIV and policy research and has published extensively on harm reduction and public health. She is a Deputy Editor for the Harm Reduction Journal and sits on the Scientific Committee for the International Society for the Study of Drug Policy (ISSDP). 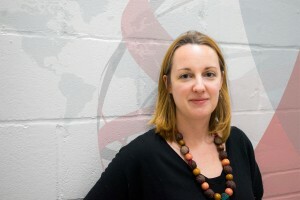 Catherine joined Harm Reduction International in 2007 as Research Analyst, before being appointed Head of Research prior to her current position. Before joining Harm Reduction International, she worked at the International HIV/AIDS Alliance. Catherine holds a BSc in Psychology from Sussex University, an Msc in Cross-Cultural Psychology from Brunel University, London and has completed short courses in Human Rights Law in Practice at the London School of Economics and Health Economics at Oxford University.